Hundreds of officers from Texas and across Michigan gathered in suburban Detroit for a funeral for Michael Krol, who was among five officers killed this month in Dallas. The Dallas Police Honor Guard escorted the body of 40-year-old Michael Krol to his home state for a 10 a.m. burial service in a suburb of Detroit. Dallas officers filled multiple charter buses Monday night headed to Dallas Love Field for flights to Detroit. Krol worked as a Sheriff's deputy in Michigan before joining the Dallas Police Department in 2008. 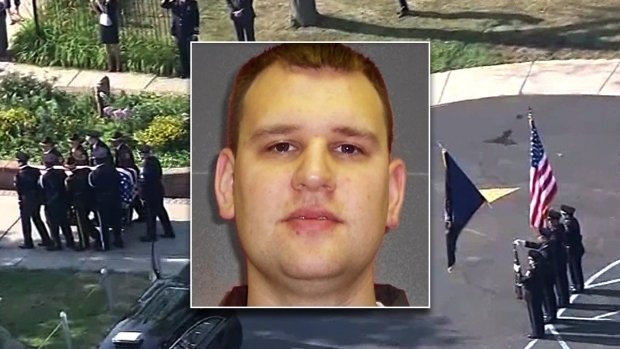 Dallas police officer Michael Krol, one of five officers killed in the July 7 protest shooting, is laid to rest in his Michigan home town Tuesday. Detroit Officer Derrick Knox tells The Detroit News that Krol "died doing what he loved to do and what was on his heart, which was to protect and serve others." Krol was among five officers killed by a gunman during a march to protest recent fatal police shootings of black men in Minnesota and Louisiana. Detroit Officer Derrick Knox told The Detroit News that Krol "died doing what he loved to do and what was on his heart, which was to protect and serve others." A private funeral was held for Krol in Dallas Friday.